Gainesville classes are available on weekdays and weekends. 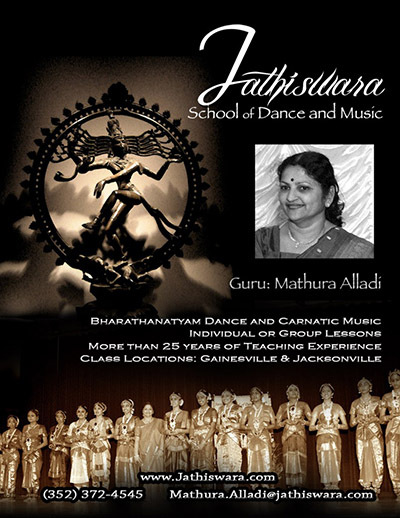 Jacksonville classes are available on weekends. Individual and group lessons are available. 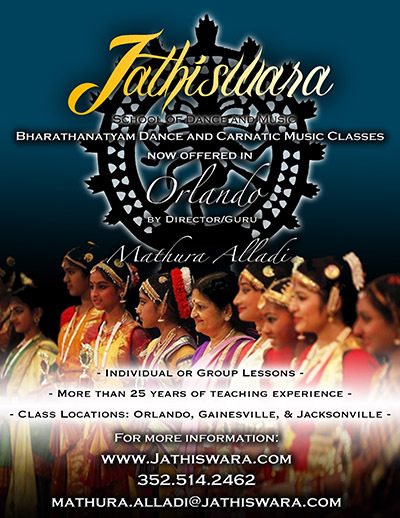 For more information or if you have any questions about the Jathiswara School of Dance and Music, you can contact the director by phone or by using the form below. Except for the Arangetrams, all photos are courtesy of Krishnaswami Alladi. Special thanks to Professor Frank Garvan for scanning the photographs. 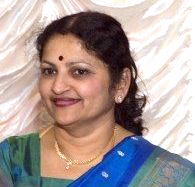 For more information about this website or if you have problems viewing any of the pages, please contact the webmaster.